Anderson Equipment rents Wheel Loaders of all sizes from 1 to 7.75 cubic yards. 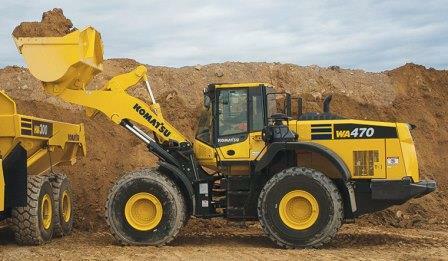 We also have Loader Backhoes and Skid Steer Loaders available for rent. Contact our Endicott, New York location for all of your Equipment Rental needs! 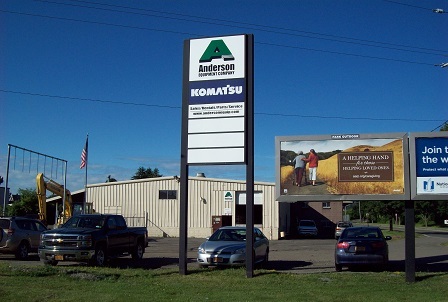 Rental Policy: CLICK HERE for Anderson Equipment Company's Rental Terms and Conditions. Credit Application: An approved Credit Application must be on file in order to rent from Anderson Equipment Company. CLICK HERE for Credit Information and Credit Applications. Rental Purchase: Many Rental units are availabe for Rental Purchase! CLICK HERE for Terms and Conditions! Damage Waivers: Anderson Equipment understands that not all customers are able to quickly obtain physical damage insurance when renting our equipment. Anderson is proud to offer its Damage Waiver product to customers in need of physical damage coverage. CLICK HERE for Terms and Conditions!